Protecting wildlife has never been so essential in the history of humanity and for the sake of humanity. Human beings are currently causing the greatest mass extinction of species since the extinction of the dinosaurs 65 million years ago at rates 1000 to 10,000 times faster than normal. The 2012 update of the IUCN Red List of Threatened Species shows that of the 63,837 species examined worldwide, 19,817 are threatened with extinction - nearly a third of the total, including 41% of amphibian species, 33% of reef building corals, 30% of conifers, 25% of mammals, 13% of birds and one in five plant species. Compared to the natural background rate of one extinction per million species per year, we are now losing 30,000 species per year, or three species per hour, which is faster than new species can evolve. If present trends continue, scientists warn that within a few decades, at least half of all plant and animal species on Earth will be extinct, as a result of climate change, habitat loss, pollution, acidifying oceans, invasive species, over-exploitation of natural resources, overfishing, poaching and human overpopulation. Learn more. 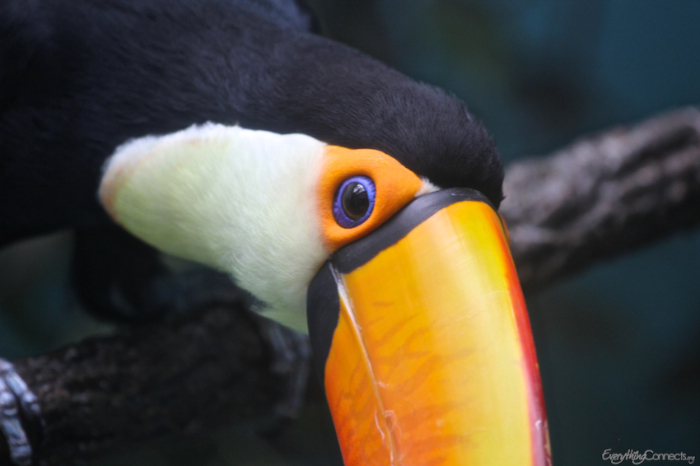 For only $15, your donation will allow Conservation International to protect an entire acre of natural habitat for many threatened and endangered species, preserve the livelihoods and incomes of local communities and help curb climate change. Sign the Endangered Species Act Legacy Pledge to uphold this vital piece of legislation, which was passed in 1973, to halt the rapid loss of plant and animal life. Known as the "crown jewel" of U.S. environmental laws, the ESA has been responsible for saving many species formerly on the brink of extinction. Every day there are fewer places left that wildlife can call home. Protecting and preserving the habitats that wildlife need in order to survive runs parallel to protecting the future of humanity. We depend directly on natural habitats for essential, irreplaceable ecosystem services and on key species, such as pollinators, for countless needs and benefits, but indirectly on all other species for the simple reason that everything, wild or not, connects. Learn about habitat loss. Waste can contaminate surface water, groundwater, soil, and air which causes serious problems for humans, other species and ecosystems. The image above depicts 426,000 cell phones, equal to the number of cell phones retired in the US every day. Image Courtesy of Chris Jordan | Learn about waste. WWF: Be a Souvenir Sleuth! Take WWF's quiz and answer 8 fun questions about your personality and interests to discover the one animal that you relate to most. This will automatically sign you up to receive the latest wildlife email news, alerts and conservation updates sent to your inbox, including WWF's E-newsletter. The Call of Life DVD is available for home and community screenings, and for classroom use to help raise greater public awareness about the growing threats to species and ecosystems worldwide, and to encourage action to reverse this destructive trend. The DVD includes two versions of the film -- 60 and 80 minutes in length. "Whether you have an apartment balcony or a 20-acre farm, you can create a garden that attracts beautiful wildlife and helps restore habitat in commercial and residential areas. By providing food, water, cover and a place for wildlife to raise their young you not only help wildlife, but you also qualify to become an official Certified Wildlife Habitat." 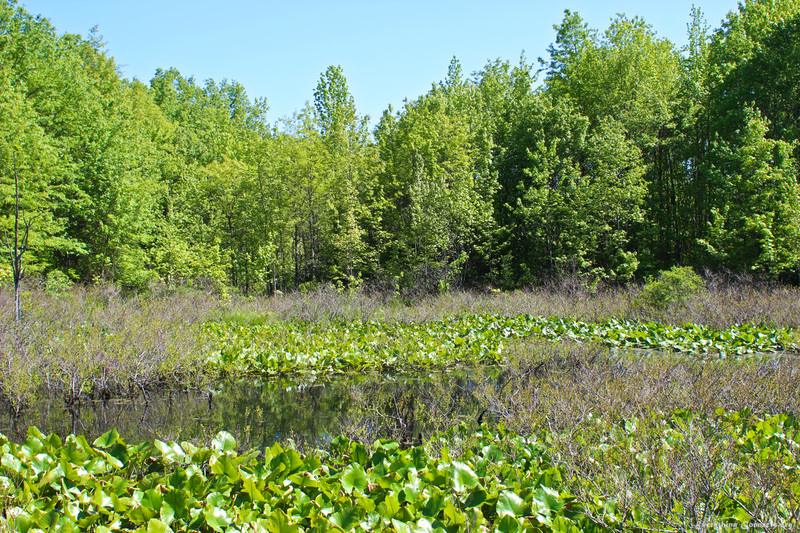 These protected lands provide habitat to many native wildlife, birds, fish and plants. One of the best ways to protect endangered species is to protect the places where they live and you can help by simply visiting or even volunteering at your local nature center or wildlife refuge. Report any harassment or shooting of threatened or endangered species to your local, state or federal wildlife enforcement office. Harassing wildlife is cruel and illegal. Shooting, trapping, or forcing a threatened or endangered animal into captivity is also illegal and can lead to their extinction. One of the biggest obstacles and dangers to wildlife living in developed areas is having to navigate a landscape full of human hazards, such as roads. Roads divide habitats and present a constant danger to any animal attempting to cross from one side to the other. This is also a hazard to humans as 130 people are killed across the U.S. by deer, almost exclusively because we hit them with our cars. Be wary, slow down and keep an eye out for wildlife and yourself! Explore free pollinator friendly planting guides and discover how to invite pollinators, such as butterflies, hummingbirds and bees, to your neighborhood by planting a pollinator friendly habitat in your garden, farm, school, park or just about anywhere! Learn about pollinator decline. 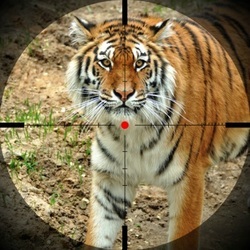 Help Save Big Cats - Cause An Uproar! Visit the National Geographic Big Cats Initiative to see what you can do to help save these iconic species from extinction. From lions in Kenya to snow leopards in the Himalaya, the big cats of the world need help. Lions, tigers, cheetahs, leopards, jaguars, and other top felines are quickly disappearing, all victims of habitat loss and degradation as well as conflicts with humans. 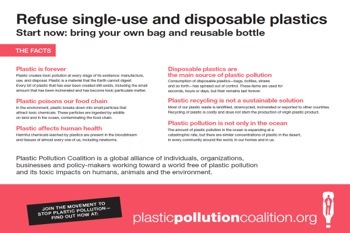 Plastics do not biodegrade. They actually resist biodegradation, but will eventually break down into small particles from exposure to the elements, sunlight and especially seawater. These small particles resemble food to marine life and the results are tragic and come back to us in the form of toxic food, the environment in the form of toxic degradation and to wildlife in the form of toxic death. Learn about plastic pollution. Oceans may seem vast and endless, but human activity is impacting every part of our waters, putting the health of the oceans in jeopardy and collectively destroying five times more species in the oceans than on land with already 90% of all top marine predators gone. 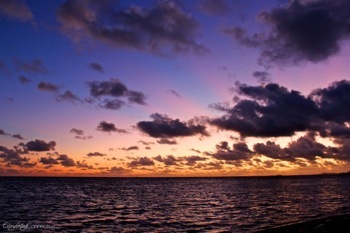 Learn about oceans in peril. With unlimited resources and near zero pollution, renewable resources, such as solar and wind power, create electricity by harnessing the power of natural cycles and systems turning the omnipresent energy around us into usable, sustainable forms while producing little or no pollution, reducing global warming emissions to almost zero, maintaining a strong, sustainable green economy, attaining energy independence, using up to 15 times less water than coal and nuclear power and allowing the health of people, wildlife and ecosystems to recover after hundreds of years of extracting and burning fossil fuels. "In 50 years of conservation, we have never seen wildlife crime on such a scale. 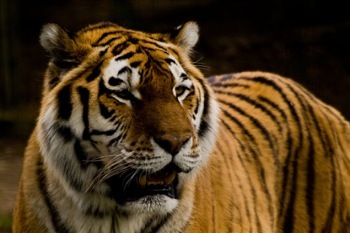 Wildlife crime is now the most urgent threat to three of the world’s best-loved species—elephants, rhinos and tigers." Learn about poaching. WWF helps you be a conscious consumer and guides you to products that do not promote wildlife slaughter. Whether you go around the corner or travel around the globe, you could stumble upon products made from endangered or threatened wildlife. Click and educate yourself on how to prevent that! Be the voice of those who have no voice and tell your members of Congress to support the Global Conservation Act and the important species and places it will help protect. Through making U.S. efforts more effective, the Global Conservation Act can help safeguard freshwater supplies for hundreds of millions of people, conserve or ensure sustainable development on millions of square miles of land and sea, and help prevent the extinction of millions of species. Protecting forests from illegal deforestation is critical to saving some of the most important species and places on the planet and for curbing climate change. Discover the threatened species who need extended conservation and whose survival cannot be guaranteed by protecting their habitat alone. Not motivated? 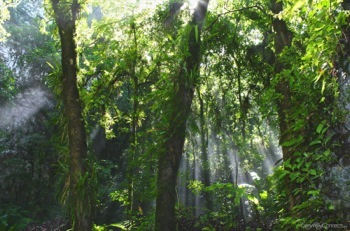 Learn about the importance, status and plight of rainforests. 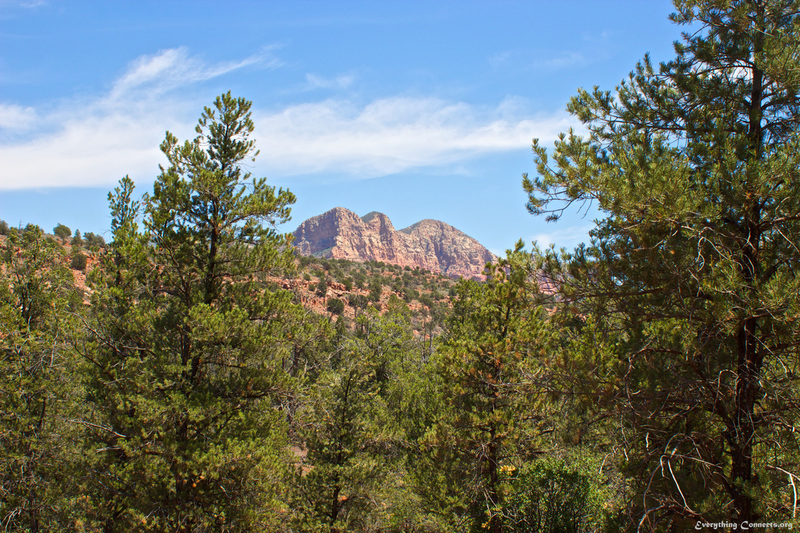 NRDC's BioGems Initiatives' citizen action network is saving America's last wild places by harnessing the power of online citizen activism to help save America's most endangered natural treasures. Place decals on windows to deter bird collisions According to the U.S. 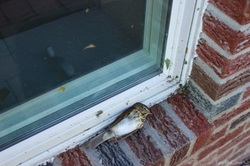 Fish & Wildlife Service, up to 1 billion birds may be killed annually by colliding with windows. You can help reduce the number of collisions simply by placing decals on the windows in your home and office. "Invasive species damage the lands and waters that native plants and animals need to survive. They hurt economies and threaten human well-being. 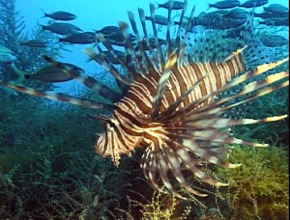 The estimated damage from invasive species worldwide totals more than $1.4 trillion – five percent of the global economy." With WWF's Species Adoption, your gift will help protect the future of nature. Your symbolic adoption supports WWF's global efforts to protect wild animals and their habitats and includes an adoption kit customized to the animal of your choosing! It is only natural that wherever trees are planted, wildlife and other plants are sure to follow. Trees provide shelter and food for a variety of birds and small animals, such as squirrels and beavers, create an environment that allows the growth of plants that otherwise would not be there, help absorb climate change emissions and can improve your health, community and even real estate value. Learn about the benefits of trees. One of the greatest problems that the world is facing today is that of environmental pollution, which is causing grave and irreparable damage to human society and the natural world. A polluted environment is a polluted society - one we created and one only we can renew. 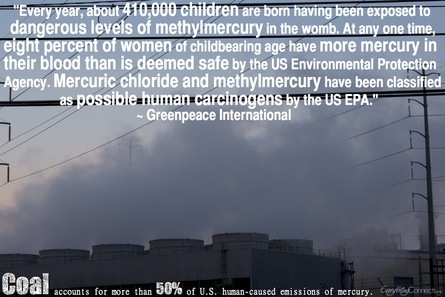 Learn about pollution. The effects of climate change are profound and far-reaching. 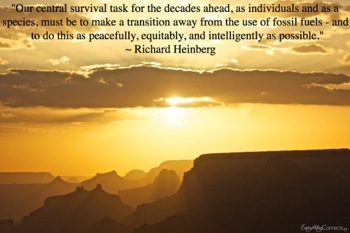 Learning the hard way that we can't separate the economy from the ecological systems that support it, climate change, perhaps the greatest challenge and threat humanity has ever faced, has been left largely unchecked by world leaders to continue unabated threatening the basis of civilization itself. Learn about climate change. 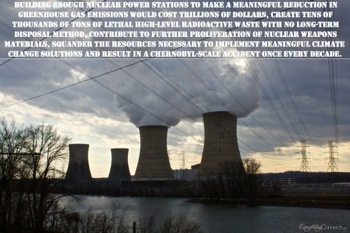 Nuclear technology will always be vulnerable to natural disasters, human error, design failures and terrorist attacks and is incredibly expensive and inherently unsafe as it can lead to irreparable damage to ecosystems, wildlife, and humans. Learn about nuclear power. Rhinos once roamed freely across Europe, Asia and Africa and were known by early Europeans who depicted them in cave paintings. Today, very few rhinos survive outside national parks and reserves. Rhinos are threatened by poaching due to the demand for their horns, habitat loss, a result of human populations encroaching on the land and the destruction of forests. Whether avoiding snakeskin, tiger or ivory products, discover the 'Gift Buying Dos and Don't' to help you avoid certain items and learn to carefully source your presents to avoid having a detrimental impact on the planet's natural resources and on the lives of countless wildlife. "Sign the petition to join the millions who believe in protecting the Arctic. We want to create a global sanctuary around the North Pole, and ban offshore drilling and destructive industry in the Arctic." 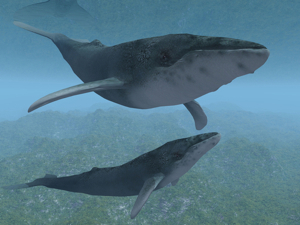 "The use of military sonar poses a deadly threat to whales and other marine mammals." "Through NWF’s Adopt-a-Wildlife-Acre program, we’ve secured over 620,000 acres of vital wildlife habitat in the Yellowstone and Charles M. Russell National Wildlife Refuge (CMR) regions. No conflict. No confrontation. Just a track record of success. And now, we’re launching a brand new campaign to restore wild free-ranging bison to their native grassland habitat!" Herbicides and pesticides may be helpful in maintaining yards, but they are in fact hazardous pollutants that take a long time to degrade and affect wildlife and people by building up in the soils and throughout the food chain. According to ESC, predators such as hawks, owls and coyotes can be harmed if they eat poisoned animals and some groups of animals, such as amphibians, are particularly vulnerable to these chemical pollutants and suffer greatly as a result of the high levels of herbicides and pesticides in their habitat. Learn about pesticides. 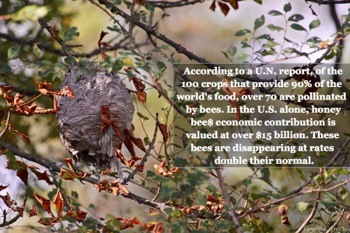 According to the Food and Agriculture Organisation of the United Nations (FAO), "Out of some 100 crop species which provide 90% of food worldwide, 71 of these are bee-pollinated. In Europe alone, 84% of the 264 crop species are animal-pollinated and 4,000 vegetable varieties exist thanks to pollination by bees. The production value of one tonne of pollinator-dependent crop is approximately five times higher than one of those crop categories that do not depend on insects." Learn about pollinator decline. The Nature Conservancy - "The Nature Conservancy is the leading conservation organization working around the world to protect ecologically important lands and waters for nature and people. We address the most pressing conservation threats at the largest scale." World Wildlife Fund - WWF's Mission Statement is "To stop the degradation of the planet's natural environment and to build a future in which humans live in harmony with nature, by conserving the world's biological diversity, ensuring that the use of renewable natural resources is sustainable and promoting the reduction of pollution and wasteful consumption." Natural Resources Defense Council - "NRDC is the nation's most effective environmental action group, combining the grassroots power of 1.3 million members and online activists with the courtroom clout and expertise of more than 350 lawyers, scientists and other professionals." Oceana - "Oceana, founded in 2001, is the largest international organization focused solely on ocean conservation. Our offices in North America, South America and Europe work together on a limited number of strategic, directed campaigns to achieve measurable outcomes that will help return our oceans to former levels of abundance. We believe in the importance of science in identifying problems and solutions. Our scientists work closely with our teams of economists, lawyers and advocates to achieve tangible results for the oceans." Wildlife Conservation Society - "The Wildlife Conservation Society, founded in 1895, has the clear mission to save wildlife and wild places across the globe. Our story began in the early 1900’s when we successfully helped the American bison recover on the Western Plains. Today, we protect many of the world’s iconic creatures here and abroad, including gorillas in the Congo, tigers in India, wolverines in the Yellowstone Rockies, and ocean giants in our world’s amazing seascapes." National Wildlife Federation - "As America's largest conservation organization, National Wildlife Federation works with more than 4 million members, partners and supporters in communities across the country to inspire Americans to protect wildlife for our children's future." Defenders of Wildlife - "For more than six decades, Defenders of Wildlife has been a leading force in the protection of wildlife and wild lands. We employ innovative, science-based approaches to protect imperiled wildlife, advocate for wildlife friendly climate and renewable energy policies and conserve and restore native habitat." Wildlife Action Group International - "The Wildlife Action Group International was established in 2007 by Susanne Kneissl and Georg Kloeble, who have both been involved in nature conservation projects in Malawi, Africa since 1994 and starting off the Thuma Eco-System Rehabilitation Project in Malawi. The charity, registered in Germany, is focusing on animal welfare and the protection and conservation of endangered animals and their natural habitats." Species Alliance - "Species Alliance is a nonprofit organization committed to raising public awareness of the mass extinction and its implications for humanity and the rest of the living world. We are dedicated to exploring and facilitating creative and effective responses. We aim to stimulate changes in public policies and human behavior which will assure a healthy future for life on Earth." Sierra Club - "Since 1892, the Sierra Club has been working to protect communities, wild places, and the planet itself. We are the largest and most influential grassroots environmental organization in the United States. And our founder, John Muir, appears on the back of the California quarter." Royal Society for the Protection of Birds - "The RSPB speaks out for birds and wildlife, tackling the problems that threaten our environment. We are the largest wildlife conservation organisation in Europe with over one million members. 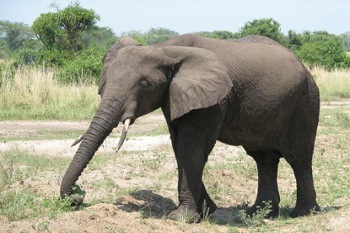 Wildlife and the environment face many threats. Our work is focussed on the species and habitats that are in the greatest danger." International Crane Foundation - "The International Crane Foundation (ICF) works worldwide to conserve cranes and the ecosystems, watersheds and flyways on which they depend. ICF is dedicated to providing experience, knowledge, and inspiration to involve people in resolving threats to these ecosystems." Conservation International - "Building upon a strong foundation of science, partnership and field demonstration, CI empowers societies to responsibly and sustainably care for nature, our global biodiversity, for the well-being of humanity." Greenpeace International - "Greenpeace exists because this fragile earth deserves a voice. It needs solutions. It needs change. It needs action. Greenpeace is an independent global campaigning organisation that acts to change attitudes and behaviour, to protect and conserve the environment and to promote peace." Save The Frogs - "Founded in 2008, SAVE THE FROGS! is America's first and only public charity dedicated to amphibian conservation. Our mission is to protect amphibian populations and to promote a society that respects and appreciates nature and wildlife. We work in California, across the USA, and around the world to prevent the extinction of amphibians, and to create a better planet for humans and wildlife. SAVE THE FROGS! is an IRS-approved 501(c)(3) organization." National Parks Conservation Society - "To protect and enhance America's National Parks for present and future generations. America's national parks are the touchstones of our shared history and culture. In some ways, they represent the soul of the nation. They represent our hopes, our dreams, our struggles. They are our absolute best places." 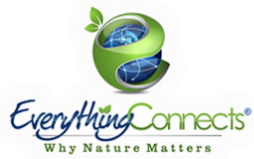 Wildlife Conservation Network - "WCN protects endangered species and preserves their natural habitats by supporting entrepreneurial conservationists who pursue innovative strategies for people and wildlife to co-exist and thrive." The National Audubon Society - "To conserve and restore natural ecosystems, focusing on birds, other wildlife, and their habitats for the benefit of humanity and the earth's biological diversity." Center for Biological Diversity - "The Center for Biological Diversity works through science, law and creative media to secure a future for all species, great or small, hovering on the brink of extinction." Endangered Species Coalition - "The Endangered Species Coalition is a national network of hundreds of conservation, scientific, education, religious, sporting, outdoor recreation, business and community organizations working to protect our nation’s disappearing wildlife and last remaining wild places."